When Phil Jourdan’s mother died suddenly in 2009, she left behind a legacy of kindness and charity — but she also left unanswered some troubling questions. Was she, as she once claimed, a spy? Had she suffered more profoundly as a woman and parent than she’d let on? 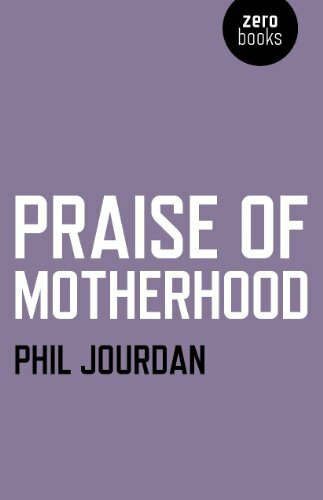 Jourdan’s recollections of his struggles with psychosis, and his reconstructions of conversations with his enigmatic mother, form the core of this memoir. Psychoanalysis, poetry and confession all merge to tell the story of an ordinary woman whose death turned her into a symbol for extraordinary motherhood. Phil Jourdan is an author and musician from Portugal living in the UK.In 2007 he formed the lit-rock band, Paris and the Hiltons. Their music merges many styles, from rock to jazz to electronic to classical, and often takes as its inspiration various modernist literary figures.His memoir, Praise of Motherhood, revolves around the hardships his late mother endured in trying to cope with her aggressive adolescent son. He runs Perfect Edge, a fiction imprint, and co-runs the popular Zero Books press.